Etc. Regular additions and updates !! Map includes names of all Capitals of all 22 Chinese Provinces, Five Autonomous Regions (Inner Mongolia, Ningxia Hui,‍‍‍ ‍‍‍Guangxi Zhuang, Tibet, Xinjiang), Two Special Administrative Regions and Four Municipalities (Beijing,Chongqing, Shanghai, Tianjin). Disputed border regions, the Main Deserts of the Gobi and Taklamakan, steppes and basins, Rivers, Lakes, Sea's and Oceans are included. Please browse the Map and follow the links to futher information on each location and destination of your cho‍‍‍ice. Click to Go to the Asia Report Main Menu Map, with Zoom and Scroll Functions. Mouse over the Country of your Interest and get short basic inform‍‍‍ation on each Country. MAP INFORMATION UNDER EDITING - MAP AVAILABLE NOW !! 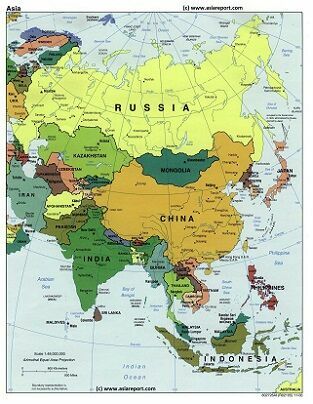 A Geographical overview Map of Central, East and South-East Asia. This Relief Map‍‍‍ depicts the Nations, Cities and main road and railroad connections. A Menu of all Maps of the Koreas, the Korean Peninsula, North- and South Korea, as well as neighboring regions, nations and territories. Regular ‍‍‍additions and updates !! A Menu of all Maps of Nepal (Kingdom) as well as neighboring regions and nations. Regular additions and u‍‍‍pdates !! A Menu of all Maps of Malaysia (Republic and wider Territories) as well as neighboring regions and nations. A Menu of all Maps of Mongolia (Republic and wider Territories) as well as neighboring regions and nations. Regular ad‍‍‍ditions and updates !! An overview Map of the Distribution of Religions in the World. 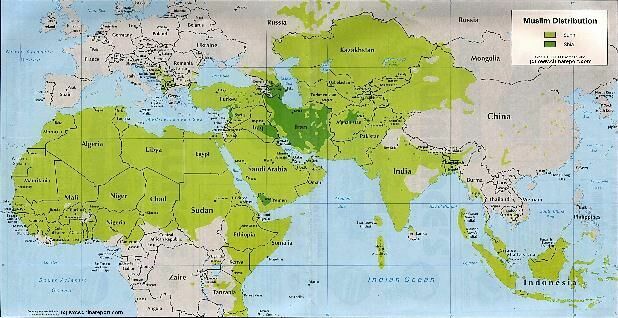 Map includes Major Religions of the World and Sub-Division, as well as local religions and area'‍‍‍s of mixed populations. Map includes names of all Capitals of all 22 Chinese Provinces, Five Autonomous Regions (Inner Mongolia, Ningxia Hui, Guangxi Zhuang, Tibet, Xinjiang Uighur), Two Special Administrative Regions (HongKong & Macau) and Four Muncipalities (Beijing, Chongqing, Shanghai, Tianjin). Main Deserts, Mountain ranges, Mountains & Heights, Rivers, Lakes, Sea's and Oceans are ma‍‍‍rked with their name‍‍‍s. 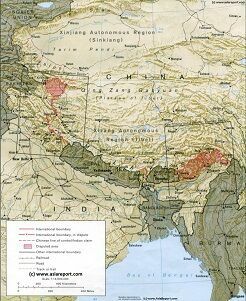 A Menu of all Historical and historically relevant Maps of Asia and parts there of, available from AsiaRepor‍‍‍tcom. 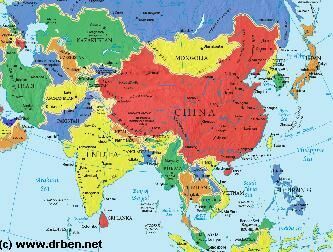 A Geographical overview Map of China and neighboring Nations of Central, East and South-East Asia with National Borders and Capital‍‍‍s. 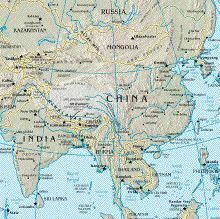 Nations are Bhutan, Nepal, India, parts of Pakistan, parts of Afghanistan, Tajikistan, parts of Uzbekistan, Kyrgystan, parts of Kazakhstan, Eastern parts of Russia, Mongolia, North Korea, South Korea, a small part of Japan, and further the South-East Asian Nations of Vietnam, Laos, Cambodia, Thailand, Myanmar (Burma) and Bangladesh. 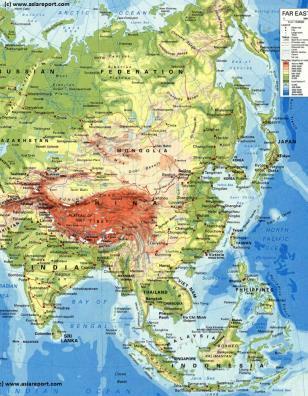 Map includes names of all Capitals of all 22 Chinese Provinces, Five Autonomous Regions (Inner Mongolia, Ningxia Hui,‍‍‍ Guangxi Zhuang, Tibet, Xinjiang), Two Special Administrative Regions and Four Muncipalities (Beijing,Chongqing, Shanghai, Tianjin).Main Deserts Gobi and Taklamakan, Mountain ranges, Rivers, Lakes, Sea's and Oceans included. 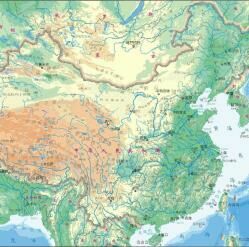 Map includes names of all Capitals of all 22 Chinese Provinces, Five Autonomous Regions (Inner Mongolia, Ningxia Hui,‍‍‍ ‍‍‍Guangxi Zhuang, Tibet, Xinjiang), Two Special Administrative Regions and Four Municipalities (Beijing, Chongqing, Shanghai, Tianjin).Disputed border regions, the Main Deserts of the Gobi and Taklamakan, steppes and basins, Rivers, Lakes, Sea's and Oceans are included. A Menu of all Maps of Kyrgyzstan, as well as neighboring regions, nations‍‍‍ and territories. Regular additions and updates !! 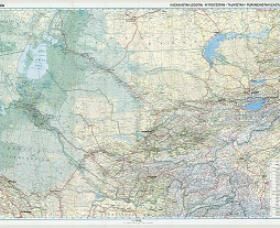 A Menu of all Maps relevant to Kazakhstan, as well as neighboring regions, nations and territories. Regular a‍‍‍dditions and updates !! A Menu of all Maps of Pakistan, as well as neighboring regions, nations and territ‍‍‍ories. Regular additions and updates !! A Menu of all Maps of Qatar, as well as neig‍‍‍hboring regions, nations and territories. Regular additions and updates !! A Menu of all Maps of Taiwan, as well as neighboring regions, nations and territories. Regular addition‍‍‍s and updates !! A Menu of all Maps of Tajikistan‍‍, as well as ne‍‍‍ighboring regions, nations and territories. Regular additions and updates !! A Menu of all Maps of Uzbekistan‍‍, as well as neighboring regions, nations and‍‍‍ territories. Regular additions and updates !! This website is Powered by PageCloud (c). Click the above Banner and get a FREE 2 WEEK TRIAL at PageCloud.com. EZ does it ; NO codes or programming required.